How will climate change affect our groundwater resources? Because groundwater is such an integral part of the water cycle, any changes in our climate will impact on groundwater. Models of how our climate is likely to change in Britain tend to suggest that we will see ‘extreme’ weather becoming more common, with winters becoming wetter and stormier and summers becoming hotter and drier. This trend may be particularly pronounced in the South East, coincidentally the area of the UK where groundwater is most important for water supply. 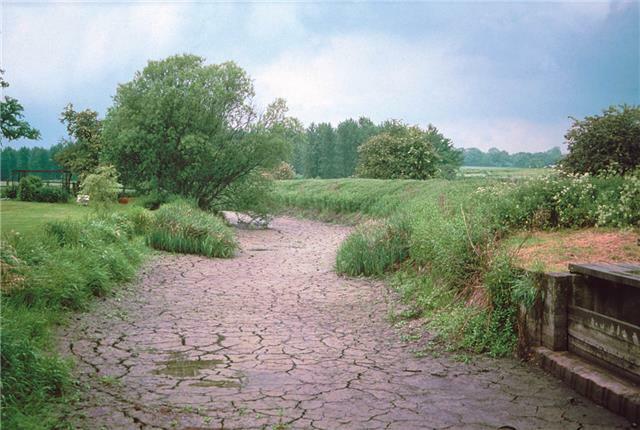 Wetter winters might lead to more groundwater recharge, but water from heavy storms tends to runoff directly to rivers and other surface watercourses, so the increase may be limited. If spring and autumn become drier and warmer the recharge season may be shorter so overall less water may be recharged. During hot summers the main impact on groundwater will be an increase in demand, especially if the flow in rivers is reduced. Society will face complex choices to balance water demand for agriculture, industry and public supply with an increasingly stressed environment. Another effect of climate change is likely to be rising sea levels. These may lead to the loss of groundwater resources in very low-lying coastal areas, as sea water can flow into the aquifers and mix with the fresh water.